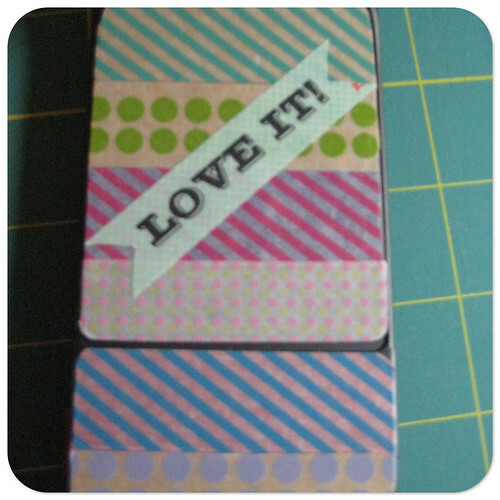 Last week I fell in love with washi tape. 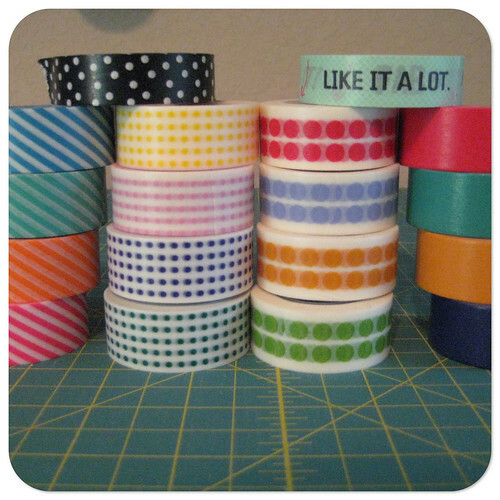 Washi tape is gaining steam in craft communities for its versatility. 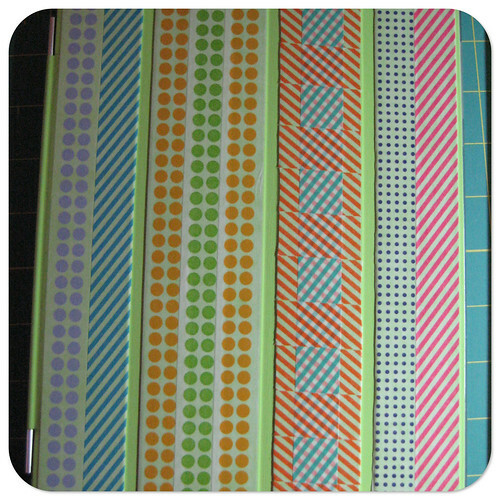 Washi tape is basically masking tape made from patterned tissue papers, so the tape is both adorable and can adhere to anything and removes with no markings. I found washi tape at Target and began to stick it to everything. 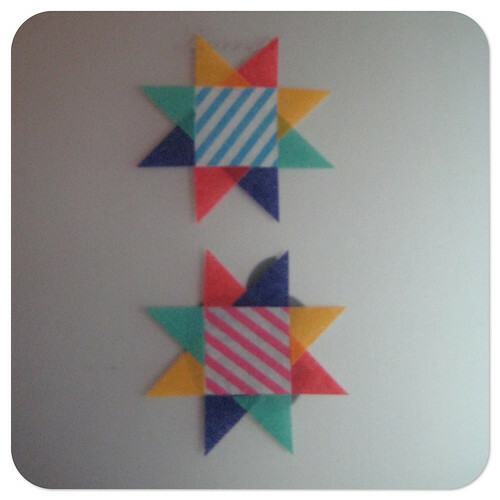 This weekend I sat down for a little down time sewing, sewing without any deadlines. 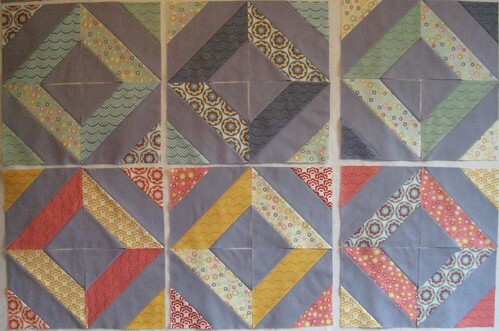 A few weeks back I had cut all the fabric for a new quilt. The pattern is the first pattern, French Kisses, from the lovely Tracey Jay and the fabric is Salt Air by Cosmo Cricket. 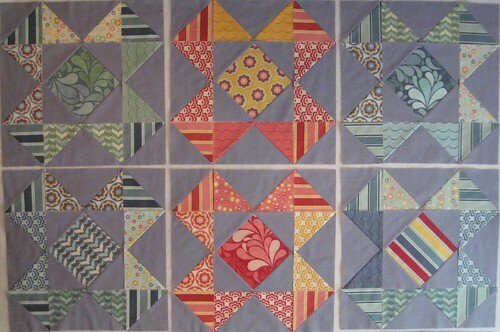 I think this is going to be an adorable quilt!